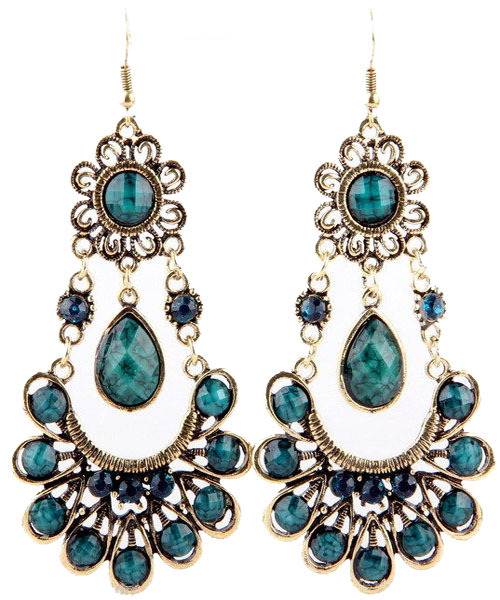 Ava bead earrings feature extraordinary blue-green color, aged gold-tone metal details, shimmering faceted crystals and chandelier design. Perfect match for blue or green eyes. Convenient hook fastening. Order these beautiful bead earrings now from Australia's fastest growing online jewellery store.